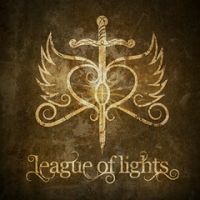 Having written the World’s first review of the recent self-titled debut album from “League Of Lights”, Justin Hulford caught up with Richard West to find out a little more about the project. Which begs the question, what is it like teamed up with a new collaborative partner instead of Karl Groom and the rest of the band? 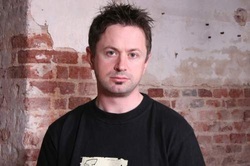 Which leads us neatly onto the first of the guest performers, Ruud Jolie. About to appear on the Damian Wilson Band DVD, just finished some tour dates with Maiden United, his own “For All We Know” project being released and Within Temptation in the process of launching their latest. A busy man so how did he get involved? Our paths had crossed a few times while I was doing Threshold shows, then I met him again in 2009 doing some Damian Wilson Band shows. I loved his sound, we got on really well, and he just felt like the right person for the album. He understood the sound I was looking for and he brought some really great moments, such as the big riff in the second half of 'Half Light'. Which leads us naturally on to drummer Mark Zonder. I first noticed Mark's drumming on Fates Warning's 'Disconnected' album, it's a great record and I was very impressed with the originality and character of the drums. Threshold almost toured with Fates Warning in the 90s and more recently, so they were on our radar even though we'd never met. And just like Ruud, when it came to choosing a drummer Mark just felt like the right guy to approach. The final partner is a musician furthest from the Threshold sound but perhaps closer to the musical landscape that this album inhabits, bassist Jerry Meehan. 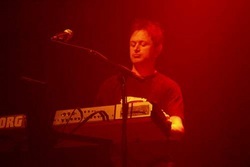 He has played on big stages with the likes of Roxy Music, Chris de Burgh and Robbie Williams. A surprise choice? Jerry's a friend of a couple of friends, and while we were considering bass players his name came up a couple of times. He did such a great job and I feel very honoured to have all these guys on the album, obviously someone like Jerry is used to playing on big stages as you said, so to have him on our album is such a blessing. So much for the guests. It’s also fairly easy to find out more about Richard himself but just where has Farrah, with a voice that I described as both vulnerable and confident, been hiding? We started recording together about ten years ago, and our original plan was to make an album under the Farrah West name. Over the years we've recorded quite a few songs but never quite pulled together a whole album. So in 2008 we looked at things a bit differently, devoted more time to it and worked towards a more powerful sound. That's when we started co-writing together, and that really helped in terms of making something that belonged to both of us. So Farrah's always been there, sounding wonderful and waiting patiently in the wings, it just took us longer to get going than we thought it would. With the musicians covered I’m always intrigued how the writers I speak to create their compositions with so many different techniques and styles being used. I remembered an old interview I had read where Richard had explained that he usually composes the music before lyrics, the latter here being a collaboration. So this time? Yes, that was generally the order of things. I'll usually have a chord progression and vocal melody as a starting point, with an idea of how the song's going to sound and maybe some guitar or keyboard hooks. At that stage there might be a title or a few lyrical phrases in there too. Then I record an instrumental demo and we sit down to work out the lyrics together. It sounds simple enough but sometimes the process takes months! It certainly isn’t simple as anyone who has tried knows - but did he have the great musicians that have contributed already in mind? No, we just had an idea of how the final album was going to sound, and then the musicians added their personality to the recordings. I’ve outlined my thoughts on the album already in the review but does Richard have a favourite? Obviously they're all very close to me, but I think I'd choose the opener “I'm Alive“. That's the song that got the whole League of Lights concept going. I recorded the instrumental demo for that one back in 2008 and we took it to the US on holiday with the hope of starting the lyrics. I remember thinking that the next time we go back to the US we'd be listening to the finished album, although that seemed a long way off at the time. But now the album's finally complete I reckon it's about time for that holiday! Actually it's very close to how I originally imagined it. “Cover Me Now” was another one of those key songs for the album, one that helped to form the overall sound. During the recording process I wrote some other sections for it too, but it worked better in its original format, so that's how we kept it. It's also one of my favourites. It has taken a while, with Threshold such a big commitment for Richard, but between them they have created a gem that is receiving great reviews and deserves a wide audience. To close, what can we expect from the League of Lights future? I don't see this as a one-off album, I very much hope to do it again. Although it took a long time to put together it was wonderful to do. There are a lot of things we would love to do, we've got thoughts of concerts, videos and more albums, and God willing those are the things we'll do. But first we're really hoping for that holiday..! Have a great trip and thanks for talking!